A fourth-minute goal from Gabriel Jesus was enough to see Manchester City edge past Brighton in their FA Cup semi-final at Wembley. 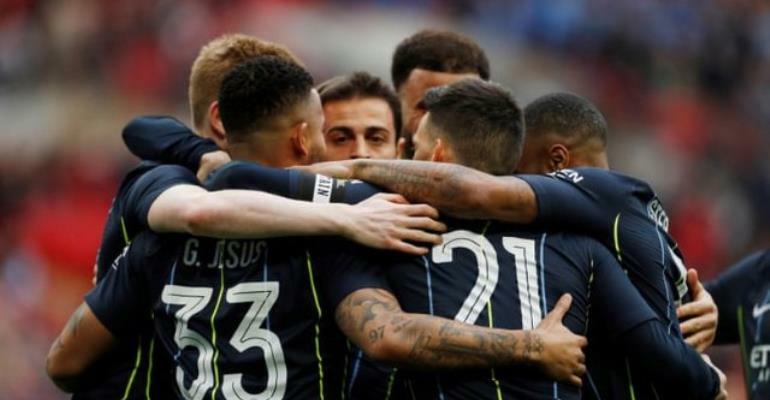 City went ahead before much of Wembley had been seated when Kevin De Bruyne ’s excellent cross was met at the back post by Jesus - keeping Pep Guardiola on track to win the only competition except the German Charity Shield that he has so far failed to win. Kyle Walker, struggling with a muscle injury, could have gone off when he appeared to headbutt Alireza Jahanbakhsh, but despite a VAR review he stays on the pitch. In the second half, Walker was withdrawn for Danilo but Brighton continued to press down the left wing in search of an equaliser, with City only briefly threatening. City were struggling with fitness as De Bruyne was removed a little over the hour mark, and they seemed intent on running down the game with as little exertion as they could get away with. The win might have let Liverpool take the lead at the top of the league, but City remain on course for a perfect season, if they can stay fit.